One of the most illustrious sporting events on the planet, the Monaco Grand Prix 2017 has arrived and we’ve compiled the ultimate guide to watching it while in the Principality. The smell of burning rubber is filling the streets of Monte Carlo as the emphatic cheers of automotive fans compete with roaring engines. 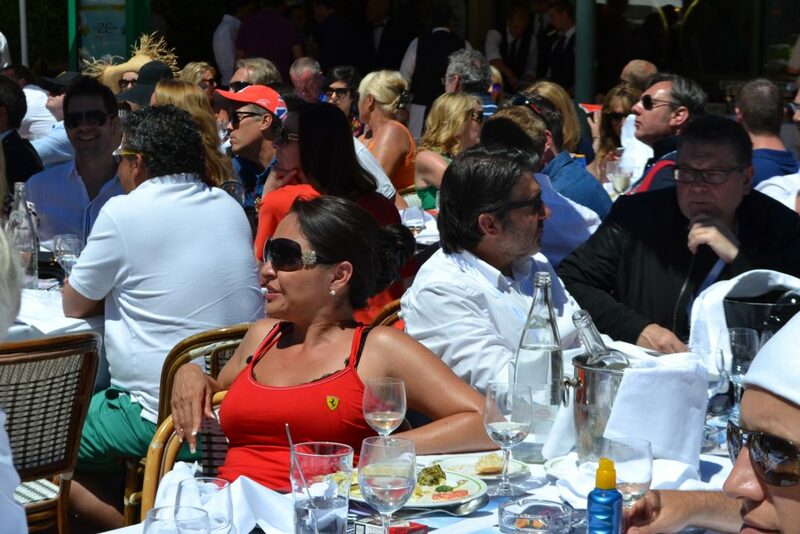 We’ve compiled a comprehensive list of the best venues from which to catch the action in Monaco. From the sundeck of a luxury superyacht to an affordable ticket in a great location, these viewing platforms will ensure you experience the event with the insight of those competing. For a unique view of the Monaco Grand Prix 2017 and a truly luxurious environment from which to enjoy the race, charter a superyacht and get close to the action from Port Hercule. Entertain guests, hold corporate events and make the most of being in the heart of the action. The most extravagant after-parties light up the night sky from the decks of yachts; you’ll be perfectly placed to socialise, network and dance into the night. 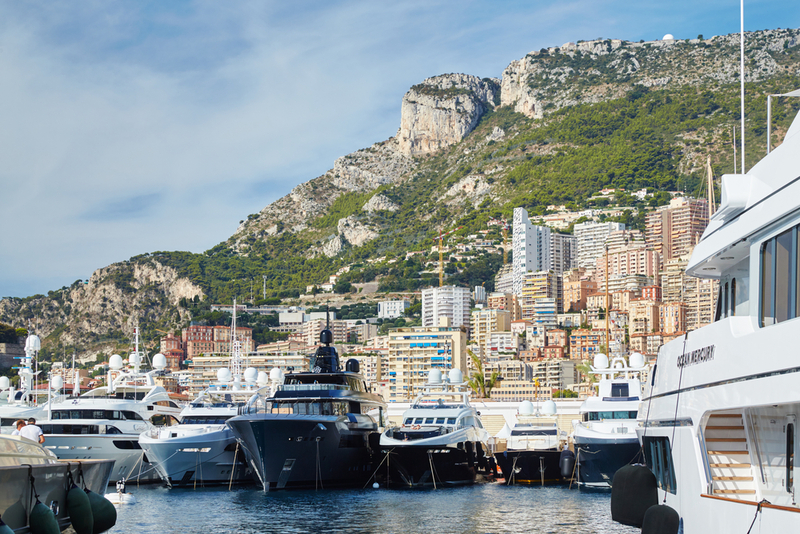 While weekly Monaco Grand Prix superyacht charters cost upward of €100,000, an Amber Lounge superyacht experience can be bought for as little as €3,950. The Hotel de Paris offers deluxe viewing suites for guests keen to witness the superb views over Casino Square. The venue is highly exclusive with fully catered packages. The Casino Square suite is offering packages starting at €1,250 on Saturday while Sunday is €3,500 per person. The Garnier Suite is available for €700 on Thursday, €1,250 on Saturday and €4,000 on Sunday. 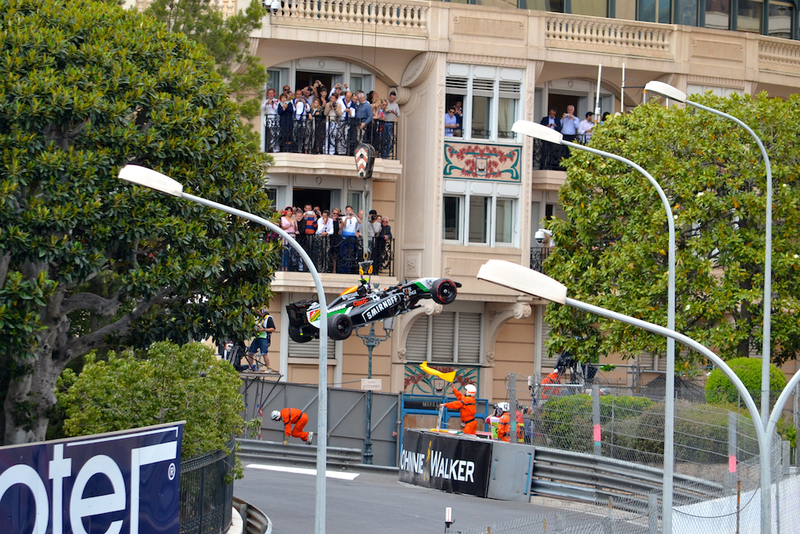 Get close to the hairpin action at the Fairmont Hotel. Each year there is an incident of some sort at the hairpin making it one of the most exciting corners in F1™. The Fairmont VIP suite package includes a buffet lunch, Champagne and fine wines. The Saturday package costs €700 per person. Sunday is €2,600 per person. 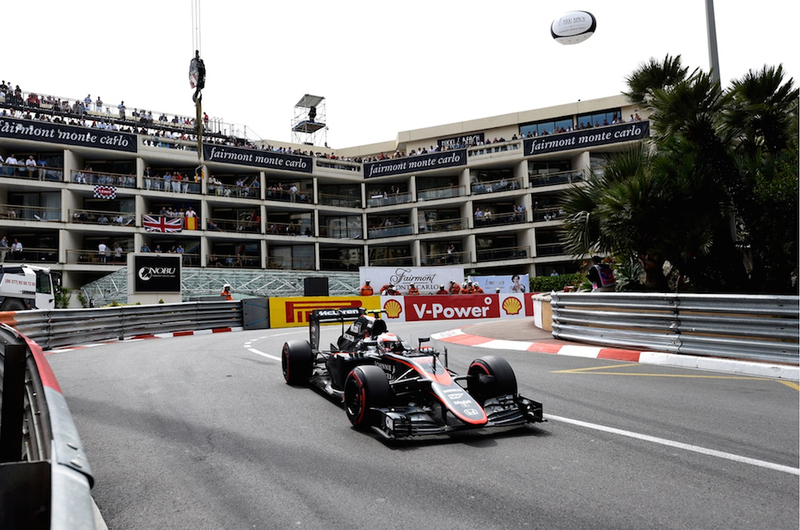 The Fairmont Hotel is also offering an exclusive spa package for the Monaco Grand Prix 2017. Why not treat him or her to a 60 minute relaxation and muscle massage followed by lunch at the Horizon restaurant? As part of the €750 package, guests have full access to the terrace swimming pool with views over the famous Fairmont pin. 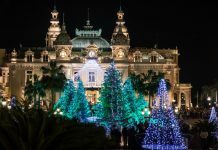 Starting from €10,340 per person, enjoy elegant transfers from Nice airport to your hotel in a limo, a 5 star stay at a hotel of your choice in Monaco, drinks with F1 Legends and a yacht cocktail party. Watch the qualifying race from Hotel de Paris – the Garnier Suite – including a buffet luncheon an open bar of Pink Champagne with fine wines and beers. Sunday’s race is enjoyed from a VIP trackside Yacht in Port Hercule providing a unique perspective of the cars as they race towards Tabac corner. Full catering and free flowing Champagne are of course included. 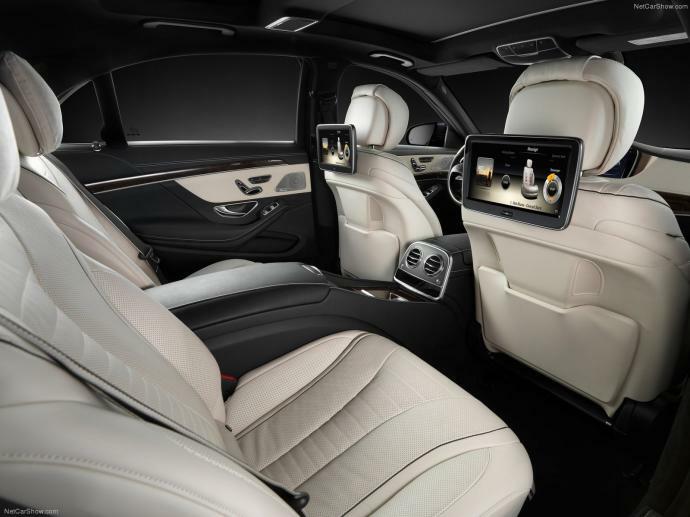 On Monday you are transferred back to Nice by your Mercedes S-Class Limo. Experience unique comfort away from the crowds of the grandstands. Accommodating between 12-80 people and starting from €1200, purchase access to a private balcony, unless you know a Monaco resident who can offer you free access! The VIP suite at Ermanno Palace offers views of the giant screen in the port. Guest can enjoy exhilarating close ups of the race track section where cars are able to overtake. Saturday prices start at €300. The Sunday package is €1,000. 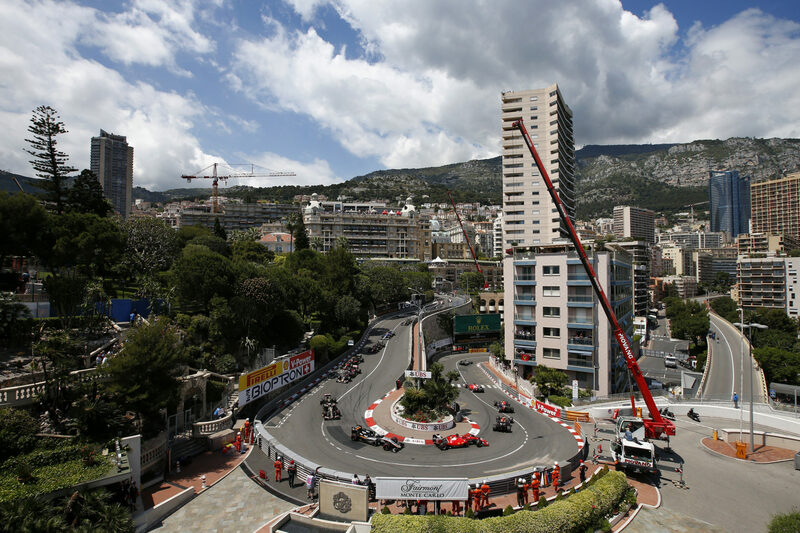 2016 marked the first time for years that it was possible to view the race from Rascasse. The iconic venue features unique views around the inside the track (between the pit-lane and the paddock). Sunday’s package starts at €1,450 per person. The package includes full hospitality offered by the Rascasse catering service including Champagne, wines and cocktails. Guests are treated to breakfast snacks on arrival followed by a full buffet at lunch. Snacks are served again in the late afternoon. 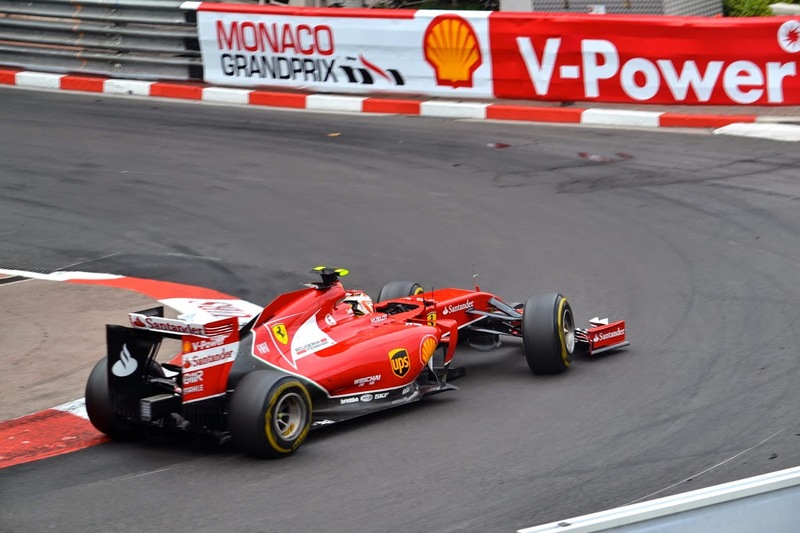 With great knowledge of the local market, a property rentals agent might just find the right fit for your Monaco Grand Prix 2017 experience. 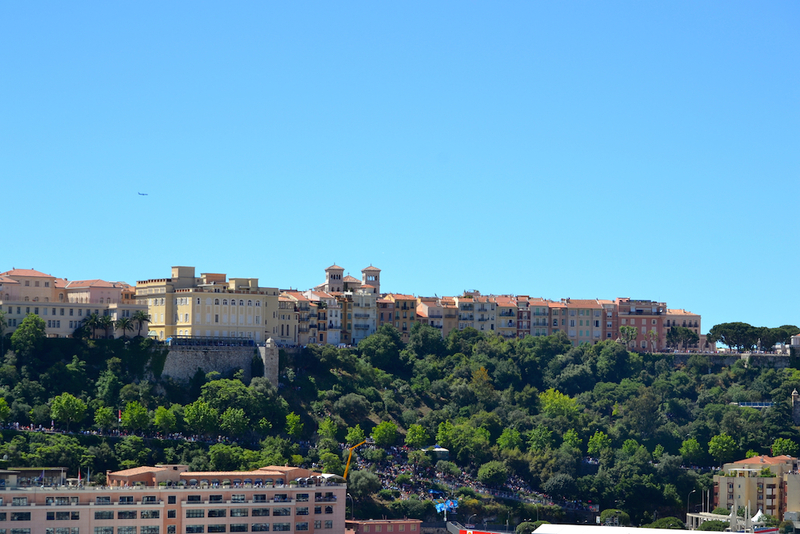 Real estate in Monaco often provide rentals for the Monaco Grand Prix, presenting anything from one-bedroom apartments overlooking the race track, to villas steps away from Monte Carlo Casino offering glorious views. An apartment with two en-suite bedrooms and a terrace overlooking the Formula 1 race track starts from €10,000 for the Grand Prix weekend. Spectacular views are offered from the Caravelles Roof Top, including the main straight, pit lane and the straight up to the Casino. Guests will receive first class hospitality along with an open bar. Saturday Package: €850 per person. Sunday Package: €2,400 per person. The 10th floor offers one of the best spectator experiences at the Monaco Grand Prix 2017. 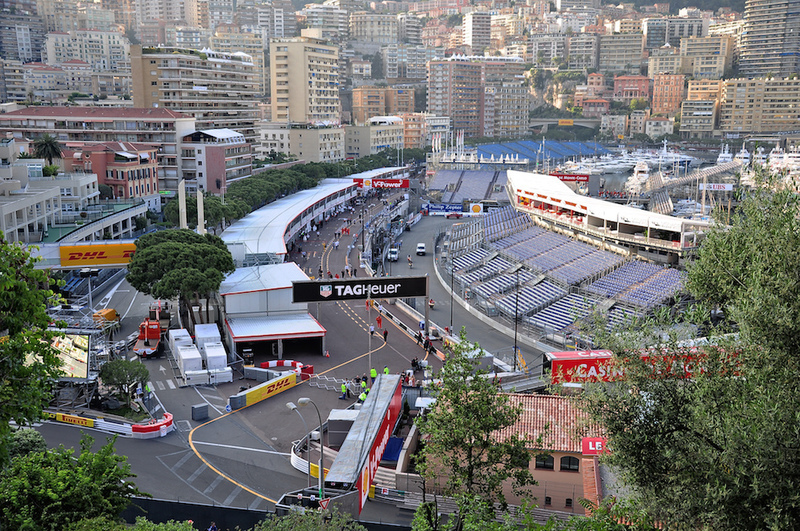 Views include the pit lane, the straight to the Casino, the chicane at the exit of the tunnel, Port Hercule and the Rascasse corner. Saturday Package: €700 per person. Sunday Package: €1,950 per person. The Hermitage Hotel offers an exclusive concept package from 25 – 28 May which includes live cooking and finger buffets. Guests will be offered the opportunity to become experts at F1 with a range of workshops. On Saturday the package is offered at €360. Sunday is priced at €790. Both packages include half a bottle of Champagne per person. The Miramar offers unique views from the sun deck terrace where guests can enjoy action from the main stretch. The Saturday package at the Miramar hotel includes full catering all day at a rate of €400 per person. The Sunday package costs €1,200, also offering full catering. The wrap around balcony from the Ermanno Palace Suite offers panoramic views of over half the track and a great atmosphere. It includes full Champagne hospitality all day. Saturday’s pricing starts from €300 per person. Lunch and as much champagne as you can drink is provided here. La Marée offers a unique ambience with the track right at your feet! The Port Palace hotel is located at the centre of it all. Facing the Prince’s palace, the hotel provides impressive views of the track. The Saturday package is €300. Café de Paris offers a three course meal including drinks on its terrace for Sunday’s race for €350. While Sunday’s tickets for the more exclusive Salon Bellevue and deck are now sold out, a buffet is offered on Thursday and Friday for €130 and €350 respectively. A Formula One simulator will also be available for guests. This Grandstand Plus package offers viewing from balconies, terraces and windows from the Beau Rivage Building. The package offers an upgrade from the grandstands with the comforts of a hostess, WC and other conveniences. Saturday and Sunday is offered at €999 per person. 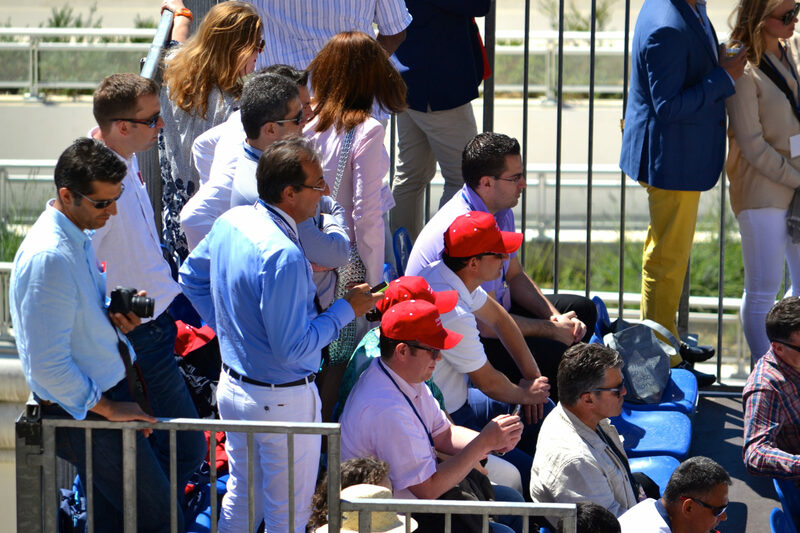 There are a range of grandstands located around the circuit, with prices on the main straight ranging from €159 on the Saturday and €369 on Sunday. The main straight offers views from the final turn all they way up to the first turn. There are grandstand seats located near the casino, the Bureau De Tabac, the pool complex and the Rascasse area. The general admission ticket at La Rocher (the rock), offers views from the steep hill that leads to the Princely Palace. 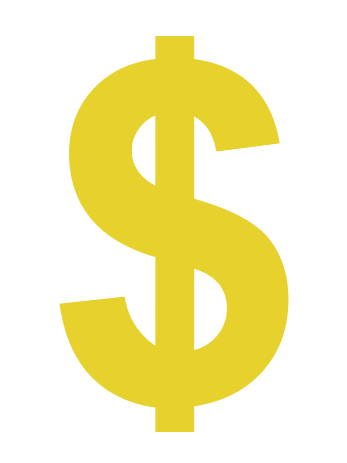 It covers a large area and is unseated. Entrance on Sunday is €81. Tete de Chien, the dramatic 450m rock which overlooks the Principality, offers panoramic views of Monaco so what better way to gain a glance of the Grand Prix. Things you’ll need: A pair of binoculars. 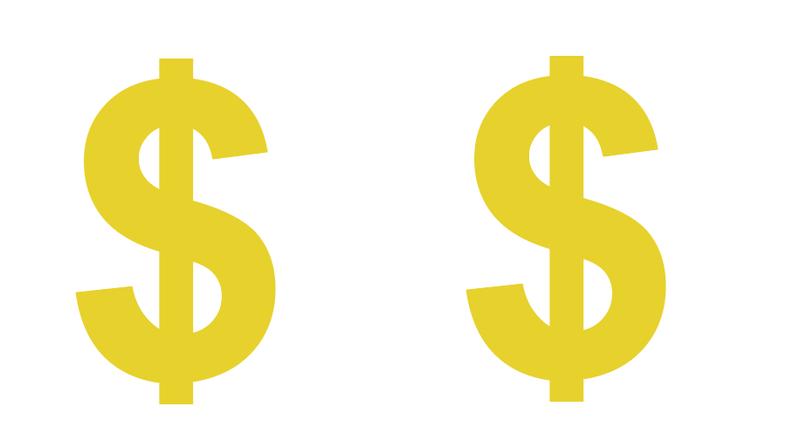 Price: Free. Why not apply for steward opportunities at the event? As well as working at the iconic event, stewarding agencies offer greats rates. Spectators may technically still have to pay to enter the exotic gardens, but once inside they are treated to glimpses of the Monaco Grand Prix 2017. The entrance fee is no more than usual – just €7.20. 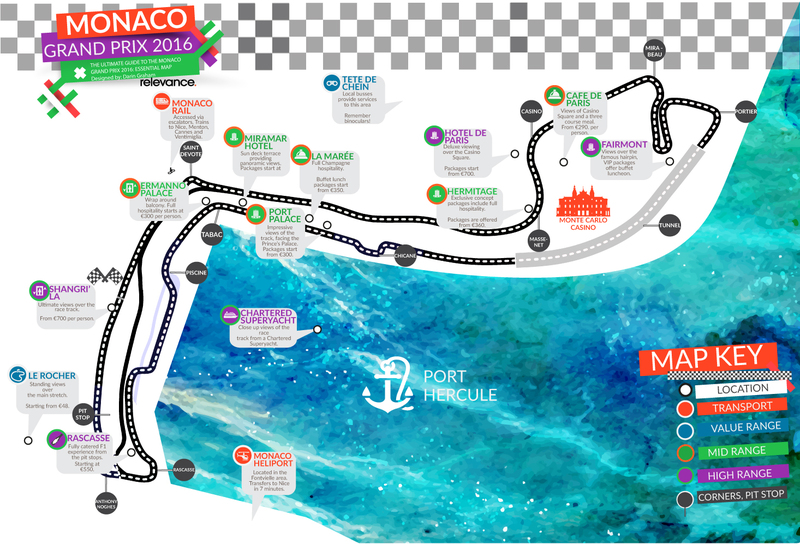 The family friendly Place d’Armes will be exclusively dedicated to Monaco Grand Prix 2017 spectators between Thursday 25th May and Sunday 28th May. Various activities will be taking place in the square including live music and interviews with drivers. Become a tire change expert in the Tire Change Training or learn about the Circuit de Monaco and F1 racing at the miniature circuit simulator. Luxury car rentals in Monaco provide professional chauffeurs dedicated to meeting your needs, offering utmost comfort and security for the duration your stay. Experienced chauffeurs come with a wealth of local and cultural knowledge adding a special contribution to your Monaco Grand Prix visit. 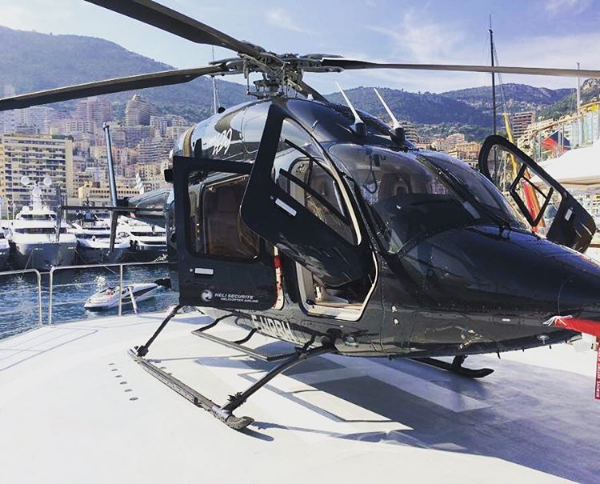 The easiest way to get to the centre of Monaco for the Grand Prix is through helicopter transfer from Nice to Monaco. Save time using the helicopter to arrive at your destination in 7 minutes. Special round trip rates are offered during the Grand Prix weekend. Monaco bus services offer five routes and operates seven days a week, providing extensive coverage within Monaco. A single journey costs €2. The service offers a convenient mobile app to help you catch the next bus from your nearest stop. 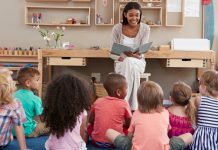 It is available within the Apple AppStore as well as on Google Play. The 100 bus which is operated by Lignes D’Azur, runs between Nice – Monaco – Menton at a cost €1.50 for a single trip. The service offers excellent value and scenic travel along the Riviera. Busses operate every fifteen minutes during the day. Monaco Monte-Carlo rail station is conveniently located close to the F1 race track, with escalator services to Port Hercule. Trains operate on a regular basis to and from Nice by SNCF. The journey between Nice and Monaco lasts between twenty to thirty minutes and tickets start from €3.90 each way.